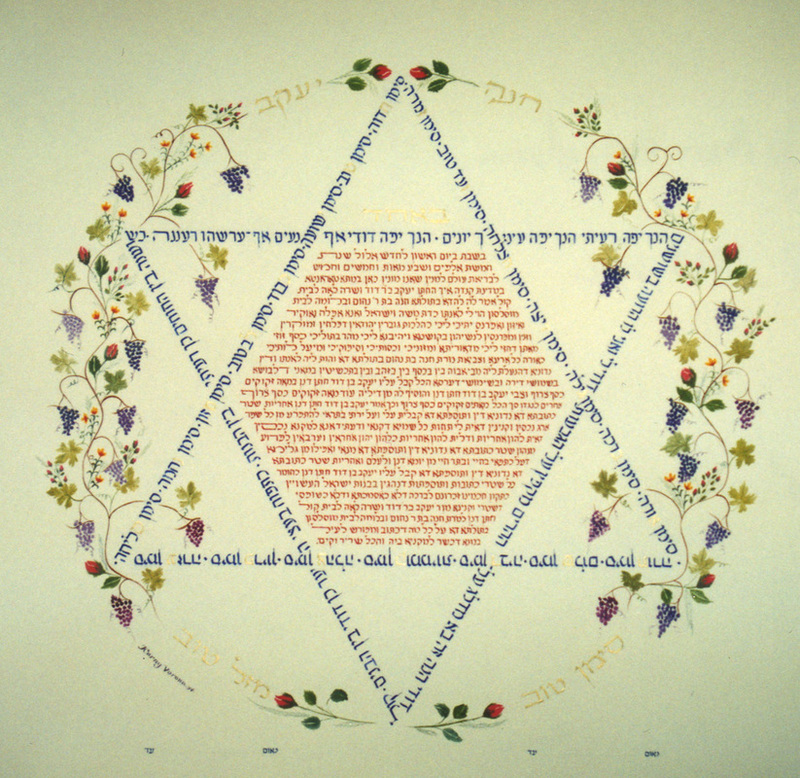 The Star of David is made with verses from "Song of Songs" and blessings for the couple in Alphabetical order. The Hebrew Orthodox text in red is imitating the inner space of the Star of David. The Grapes and Roses are painted in a circular shape like a ring symbolizing Eternity. "Siman Tov - Mazal Tov".